British Airways introduces one-way Club Europe fares. 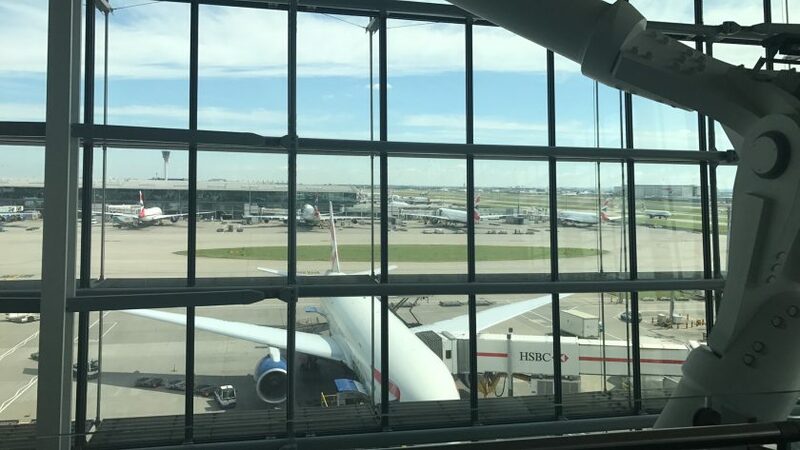 Today’s title is pretty self explanatory – it seems that yesterday British Airways introduced one-way fares for some of its short haul European routes in Business class. 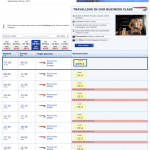 Let me first recap on the British Airways economy class fare structure as the new business class fares are very similar. The hand baggage only fares are the most restrictive, however can normally be changed for £60 plus whatever the fare difference is. They don’t allow you to check a bag either. You have to pay for seat assignments unless you’re a oneworld elite member, in which case the normal rules apply. The Plus fares are relatively new and can be worth the premium over the regular economy fares. The key thing with these is that on the day of departure, you can change your flight, up to one hour before departure, to any other flight on that route. It doesn’t even need to be in the same booking class. For example, if you book a cheap Plus fare in N class, and there’s only Y and B left, it doesn’t matter, you can either log on to BA.com or call the service centre and they will move you onto that flight. Changes can only be made after 00:01 on the day of departure (and not 24 hours before departure), so if you have an early morning flight and want to move to a later one, then you have to stay up late. Plus fares also allow you to take a checked bag for free, and also allow free advanced seat selection for non-status members from 48 hours before travel. Fully flexible fares are pretty self explanatory – these are usually very expensive but allow you to change, cancel, whatever you need. All of these fares are priced on a one-way basis; so if you need a return journey, they simply combine the two. Until yesterday, Club Europe fares were stuck in history. If you wanted a cheap fare then it had to be part of a return journey. It also had to include a Saturday night stay. These restrictions now seem to have been done away with – on most but not all routes. It seems as though Club Europe fares can now be priced on a one-way basis and include all of the benefits of Plus fares i.e. they are changeable on the day of departure for free. 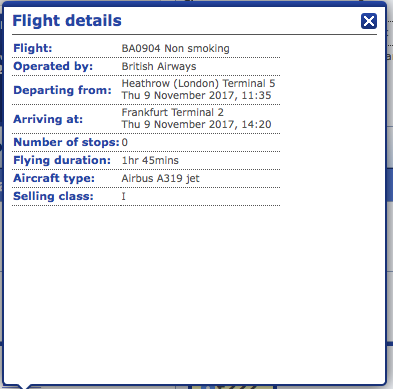 For example, take a look a London to Frankfurt for a random mid-week day in November, comparing both Lufthansa’s fares with British Airways. 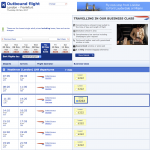 British Airways are a good £60 cheaper, plus offer greater flexibility in that you can change on the day of departure. 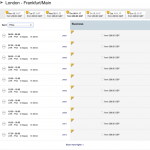 Clicking on the flight number on BA.com in the fare display, shows that these now book into ‘I’ class, the lowest business class fare bucket. Interestingly, these don’t seem to have been rolled out across the network yet. I just looked at the same week from London to Munich and they seem to still have the old structure loaded. 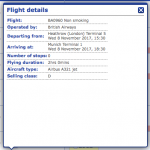 As you can see from the screenshots, fares are £512 one-way, and book into the much higher ‘D’ class. Lufthansa are offering fares around the £280 mark there. Overall, this can only be a good thing for passengers – the easing of Saturday night stay rules is a step forwards. What will be interesting is if we start to see this happen on long-haul flights as airlines like Norwegian are pioneering. Previous Post: Ruby Lilly Hotel. Munich. Next Post: Air Berlin files for insolvency.